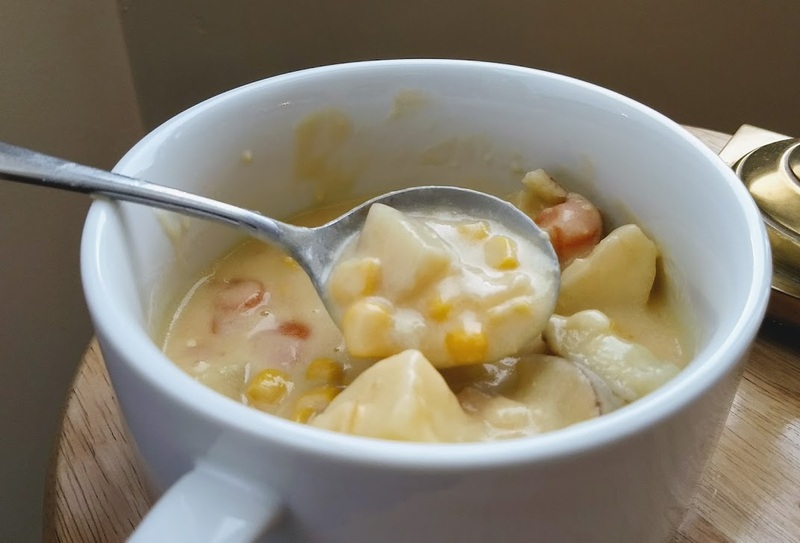 Corn Chowder: A Way to Warm Up & Sneak in a Few Vegetables | ever emma. . . Snow is a four-letter word in my house. No really it is, swear jar and everything. I like snow in theory. I mean, freshly fallen snow is kind of magical, but attempting to go out in said snow? Have you shoveled snow lately? I'm fairly convinced that is what you do in Hell. I don't want to spend all winter being a Grinch, so I try to bring a little sunshine into my life in the forms of food and chunky sweaters. It's really hard to be cranky when you have just indulged in some comfort food while wearing the coziest thing on the planet. 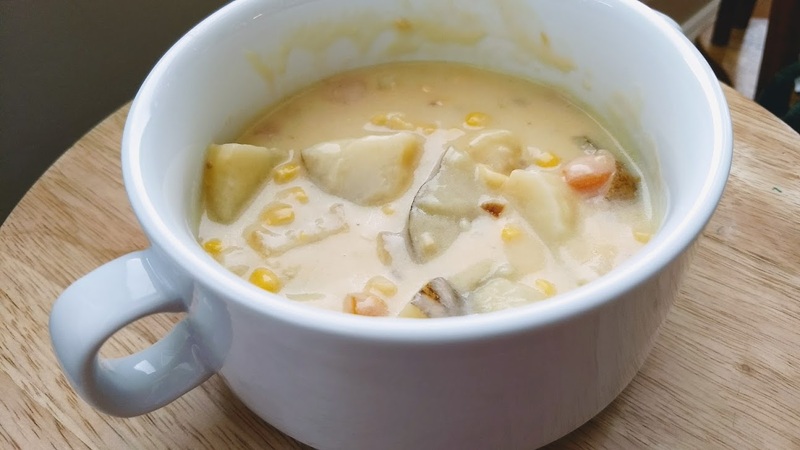 One such food that brings me some much needed comfort is my mother-in-law's Corn Chowder. I didn't even realize how much I like chowder until this came along. I must warn you that in addition to comfort it will also detract from that bikini body you may have your eye on for June. If you're on a whole 30 or doing a fix of some sort then drag your mouse to the little red x in the corner and click it. We'll be here when you're ready. This is a time-consuming recipe, so I'd recommend saving it for the weekend. The good news is that it tastes even better leftover and freezes well. It's basically the gift that keeps on giving. If the pictures and my description haven't convinced you that you need to make a batch this weekend, then maybe this will. . . my four-year-old eats it and doesn't declare that, "it's disgusting." Folks, that is a win right there. Speaking of the pictures, can we stop for a moment and discuss how ridiculously hard it is to take a decent picture of soup? One thing I'm aiming to become better at in 2018 is capturing soup, well taking proficient photos in general. 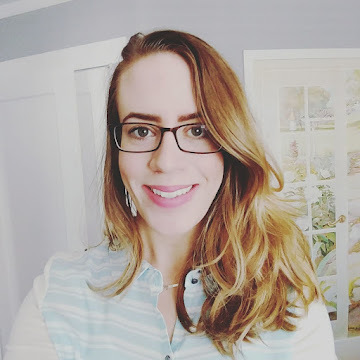 If you have any tips on where to go to learn the art of taking pictures, please send them my way. Also, I'm dying to know what comfort foods make winter bearable for you! In a stock pot saute onion and garlic in oil until onion is translucent. Add chicken stock and carrots. Cook for a few minutes. Just before boiling, add potatoes. Before potatoes are completely soft, add corn. In another pan, melt 1/2 stick of butter on low to medium heat. Whisk in 1/2 cup of flour. Once blended, slowly add 3 cups of milk while continuously whisking. Slowly add grated cheese. Once cheese is melted, add that mixture to the stock and veggies. Combine. Take it off the heat and let it sit for about 10 minutes. Enjoy!